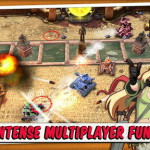 Earlier this week we reported on the discovery that Gameloft was working on a version of Tank Battles that would run on Android powered devices. It turns out that Gameloft was a lot closer to release than we might have guessed as Tank Battles is now available in the Google Play store. 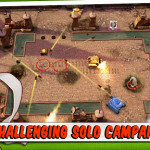 Tank Battles has been available on console and computer platforms and this version follows in that tradition, porting it over to mobile devices. 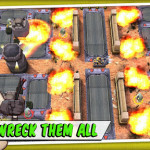 Tank Battles is free, though it does include advertising in game as well as in-app purchases. 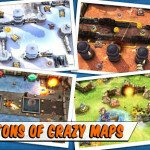 The game includes more than 80 single-player levels and 10 multiplayer maps that possess some interactive elements, including destroyable blocks and a variety of moving items like obstacles, doors and conveyer belts. To succeed in the tank battles, you have over 90,000 combinations of cannons, armor, treads, camouflage and other items to deck you tank with as well as a variety of armament like mines, turrets, and bombs. Check out some screen shots below as well as Gameloft’s launch video. If you want to give Tank Battlesa try, hit one of the download links below.